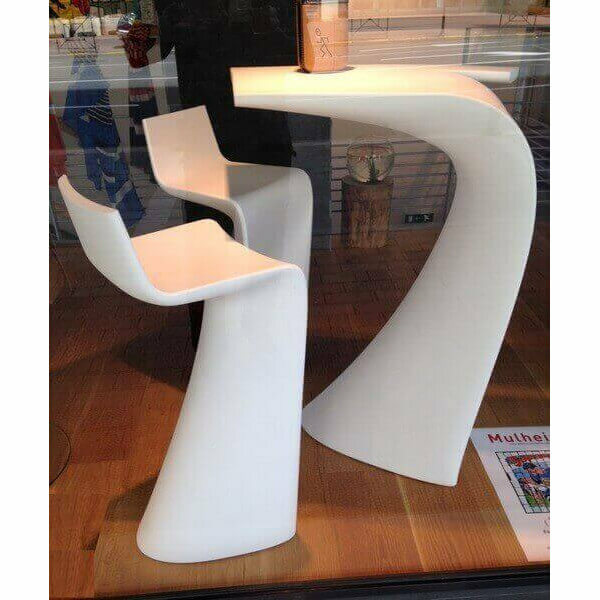 Set of two Wing Vondom mark including the high table and stools Wing. The curved bar stools offers a very comfortable seat. 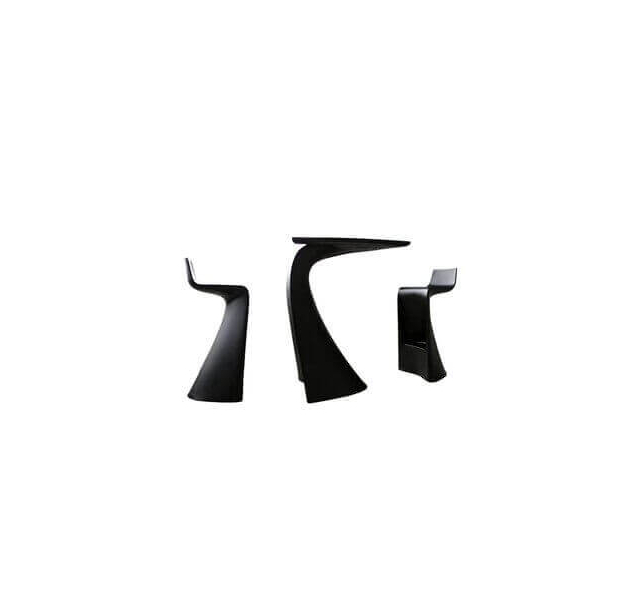 The height of the foot rests integrated perfectly designed to combine comfort and aesthetics. 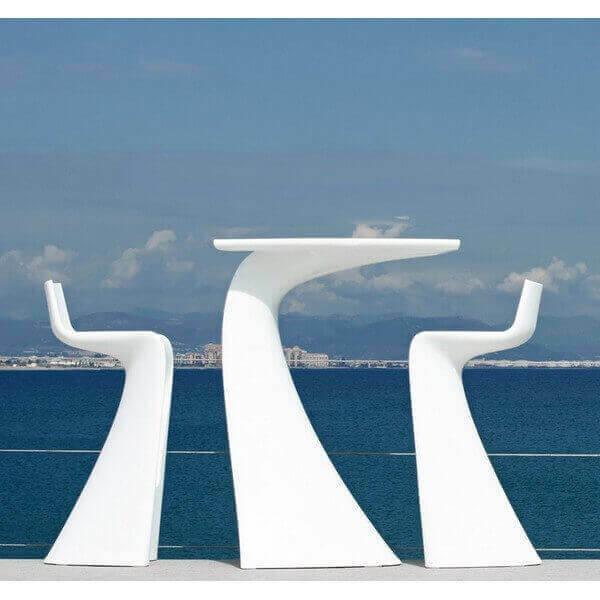 The high table with stools is accompanied Wing, this set is perfect for your patio, for particular and professionals. 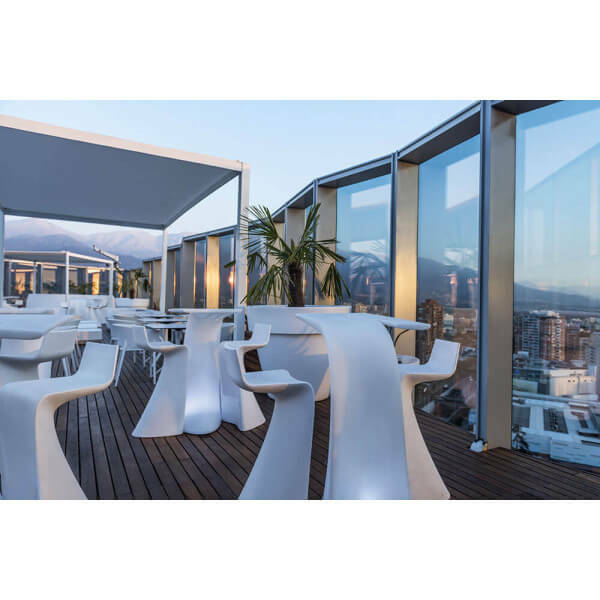 Like all VONDOM products, the materials used allow use of both external and internal, supporting extreme temperatures.